Jessica London Jacobs Dirschel (aka Jes London) has been involved in the field of education consistently since birth. Her mother was a traditional public school teacher while her father is an internationally known alternative education author and speaker. 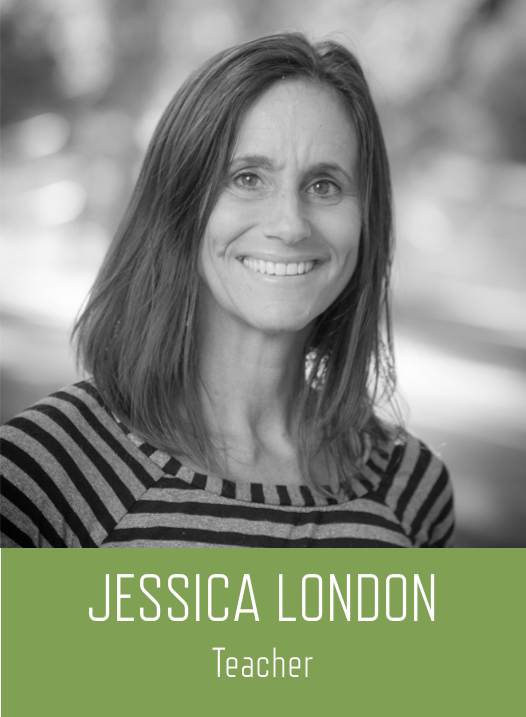 After earning a BA in Mathematics and MAs in Interdisciplinary Studies, Mathematics and Education AND Theatre Arts, Jessica taught in public schools, private schools, charter schools, online schools, community college, university, and home school settings. She has worked with students of all ages around the world. She helped start a private international school in Mexico and a charter school in Northern California. She was also a long time set teacher in Los Angeles. She works with disadvantaged youth, re-entry students, children with learning challenges, and professional actors/athletes/musicians. Her oldest son graduated from UC Berkeley at age 16. She has published books and articles on topics ranging from character education to math inequality to fitness and nutrition education in schools. Jessica is also committed to environmental awareness and health and wellness and loves gymnastics and adventure racing. She lives in Topanga with her Coast Guard husband and her four children Sage, Kaien, Rai, Koriander, their dog Kamp, and their Nissen trampoline. Her goal is to help students develop their passion and turn it into a project that will change the world.